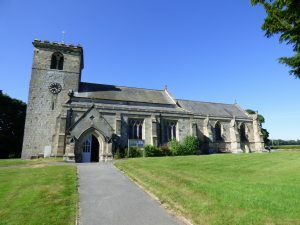 All Saints Church in Rudston sits in the grounds of the famous Rudston Standing Stone, this alone clearly points to the area being of ritual use thousands of years before this Norman church was erected. 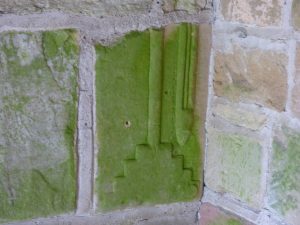 Whilst the current church lacks much in the way of indications of ancient origins, it’s entry porch boasts a wealth of 12c carved stones and is definitely worth a visit. 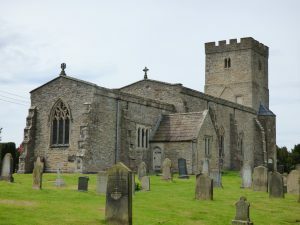 The church at Stanwick sits very close to the original centre of the Iron Age fort. It’s churchyard seems to respect a more ancient ritual use and it’s siting in conjunction with not only Mary Wild Beck but also the Sacred Spring in at the front of this church and it’s 10th century origins indicate this site was a focal point for ritual activity right back to the Iron Age and before.